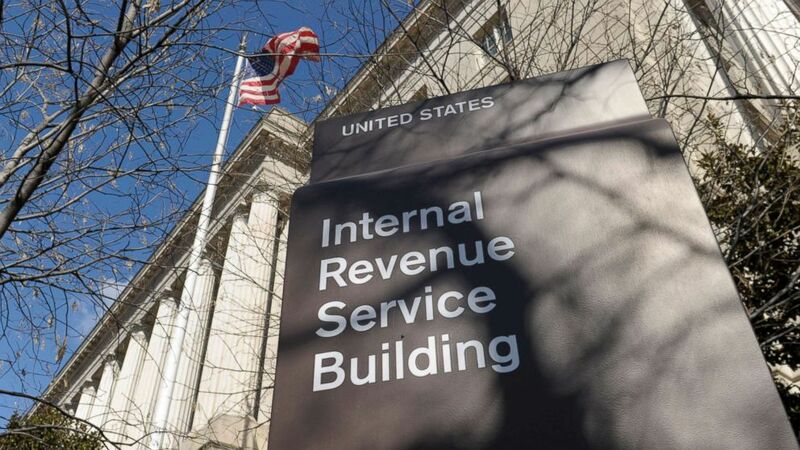 46,000 IRS employees were told to work without pay during the shutdown. Will they show up to process refunds? The union says some IRS workers are claiming financial hardship. Some IRS employees are claiming they can't return to work for the upcoming tax season because of financial hardship, a major union said Wednesday, warning that others could follow in their footsteps if the government shutdown continues much longer. That legions of IRS workers might refuse to show for work raises the prospect that Americans could see a significant slowdown in the agency's ability to process tax returns this year. It could also ratchet up pressure on President Donald Trump and congressional Democrats as budget talks remain at a standstill. The Trump administration has tried to mitigate much of the impact of the partial government shutdown by recalling workers for popular programs, such as employees who process federal farm loans and tax refunds, and reclassifying them as essential or "excepted." "There's been a lot of anxiety in my life and the lives of my friends," said Janet Li, an IRS researcher in Washington who before the shutdown began, was working on how the agency would handle the new tax law. With the spending lapse in its second month and employees facing their second missed paycheck, Li said that if she does receive a notice to return to work without pay, she would consider using sick leave or applying for a hardship exemption. And she knows of others who would do the same. Li was among a crowd of federal workers protesting Wednesday on Capitol Hill. "It's to be expected," she told ABC News. "It's a bit unfair to demand people come in and not get paid." The IRS announced last week that it would recall another 36,000 workers to process tax refunds in particular, bringing to 46,000 the number of agency employees required to show up without pay. Under the rules of a government shutdown, any federal workers deemed "essential" could be fired if they don't report to work. They are also prohibited from striking. The agency declined Wednesday to confirm a report by The Washington Post that "hundreds" of IRS employees have filed hardship claims. "The IRS is continuing its work in preparation for next week’s filing season," the agency said in a statement. "We are continuing our recall operations, and we continue to assess the situation at this time." The National Treasury Employees Union said it has told IRS employees not to use the financial hardship claim as a form of protest and that "tens of thousands" of agency workers have taken its advice to "answer the call and return to work" despite the prospect of working without pay. But, the union said, some employees are telling their bosses that returning to work without a paycheck isn't feasible financially. "After a month with no pay, real hardship does exist for IRS employees including not having the money needed to get back and forth to work or to pay for the child care necessary to return to work right now," said NTEU National President Tony Reardon. "Emergencies can occur at any time so the hardship exemption can be requested during a lapse in appropriations when an employee is suddenly unable to return to work. That is why the exemption exists." He added: "I believe that IRS management understands the stress that employees are under and is doing its best to accommodate the very real hardships employees are experiencing." Jenny Brown, head of a local NTEU chapter that represents some 5,000 IRS employees in Ogden, Utah, said she is getting about 10 to 15 calls a day from members asking about hardship leave, which requires a manager's approval. "Really what we're hearing is people want to get back to work, but they want to get paid," she said. Even if all 46,000 IRS workers show up for tax season -- which is expected to start officially next week when Jan. 28 begins to process return -- Americans could face some frustration anyway. The 46,000 IRS employees represent less than 60 percent of it's usual workforce. And while the IRS will be adding staff to answer some questions via telephone, the agency said last week, it's warning Americans to expect "heavier call volume" and "longer wait times." Walk-in assistance centers also will remain closed, including those offices intended to help people who are victims of identity theft and are required to visit an IRS office to establish their identity. What will remain in effect is the requirement that people pay their taxes on time, although the agency said it won't conduct any audits during the spending lapse. "During this period, the IRS reminds taxpayers that the underlying tax laws remain in effect, and all taxpayers should continue to meet their tax obligations as normal," the IRS wrote on its website. "Individuals and businesses should keep filing their tax returns and making payments and deposits with the IRS, as they are required to do by law." (Susan Walsh/AP, FILE) The exterior of the Internal Revenue Service building in Washington. The plan comes after the White House on Jan. 7 ordered the agency to still process tax returns starting Jan. 28 and issue tax refunds as planned. A disastrous tax season wouldn't be in Trump's best interest politically. In 2017, he signed into law a massive rewrite of the tax code and Republicans were counting on Americans seeing a bump in their refund checks. At least one top Democrat, House Majority Leader Steny Hoyer, D-Maryland, has questioned whether recalling so many employees during a shutdown is legal when only the most critical employees should be called on, usually for reasons of public safety. "The president now is going to order them to do what we think is illegal to do because he wants to act like a dictator," Hoyer told reporters earlier this month. "Federal employees are being deeply damaged by this continuing long-term shutdown." The IRS has urged people to file electronically and go to its website with questions. "No live telephone customer service assistance is currently available, although the IRS will be adding staff to answer some of the telephone lines in the coming days," the agency wrote last week. "Due to the heavier call volume, taxpayers should be prepared for longer wait times." The IRS also noted earlier in the shutdown that appointments related to audits and collections would be rescheduled. The agency also said it would not process applications for groups claiming tax-exempt status.